When SickFlip first appeared on the scene about two years ago, his rising talent as a producer was evident. That said, though we appreciated the way he subtly incorporated drum and bass styles into work, we weren’t always drawn to his bombastic style, which often seemed geared towards overly intoxicated “EDM” loving drop hunters. As his work has progressed, it has revealed more subtlety and nuance, but with the release of The Ladakh Project, we’ve found something that fills a gap in the contemporary Indian electronic music scene. Fusion music is something like Marxism in that its theoretical appeal is boundless but its implementation often leads to disaster. Perhaps because of the need to fit two divergent styles onto one plate, the blandest element of each style finds its way into the mix. 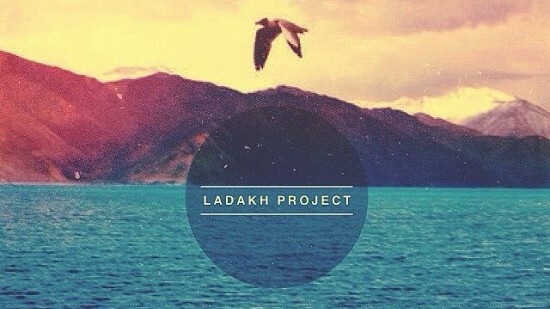 So although SickFlip’s Ladakh Project incorporates traditional Ladakhi instrumentation into a broadly electronic palette, we hesitate to position it under the banner of fusion. So let’s just put it this way: SickFlip has made an EP of thoughtful electronic music that’s deeply informed by the experience of producing it over a month in Ladakh. The EP touches upon dance music reference points, but is better suited to engaged headphone listening for the discerning head. What’s more, SickFlip has partnered with The Outbox Project to produce a video that beautifully captures the stark Ladakhi landscapes that provided the setting for SickFlip’s production. Ladakh is ever-present in the EP, with SickFlip incorporating atmospheric field recordings – his press release names chanting monks and flowing rivers – but we think we hear a great deal more, including a variety of local instrumentation, from plucked strings to wind instruments to Buddhist bells. The blend of acoustic and digital never feels forced on the EP; the monks sit comfortably aside deep bass. And low frequencies are abundant on this release. You have to give one thing to SickFlip: love his music or hate it, his bass production is absolutely clean: this guy knows his way around faultless synthesis. Stylistically, the EP is a tour of bass genres. Opener ‘Nubra River’ and ‘Zeepata’ touch into trap territory, with ‘Zeepata’ introducing some dubstep midrange synths and a sax outro that we’re crazy about. ‘Chamsen’ explores a very organic sound informed by just a brush of drum and bass. Your reviewer is no drum and bass fan, but this is the kind of drum and bass he can get down to. Album closer ‘Shanti Café’ blends decidedly shanti plucked strings with a relentless syncopated low-end that would sound at home on a Baltimore club track. For proof, just look at the track’s waveform on SoundCloud; the bass-free bridge stands noticeably apart from the rest of the tune. Our favourite tune is ‘Pangong Waves’, which sounds as if it must be composed of dozens of individual tracks. Flutes and strings cross with tight arpeggiated synth bloops and the slow wash of the titular waves. There’s something about the tune that the recalls atmospheric sample based instrumental hip-hop that had a brief moment in the sun – DJs like Krush, Shadow, Cam, and Wally – and we mean this in a good way. Like every release, the EP has its drawbacks. Some of the genre signifiers are, well, just a little too obvious. Yes, we know those hi-hats and snares mean that you’ve made a trap track, but given SickFlip’s obvious production talent, I’m willing to assume that he could make a trap tune that doesn’t use sounds that are so ubiquitous in the genre. In the same vein, there’s a chorused “hey” sound that appears throughout the album, at different pitches. We’re pretty sure we’ve heard that sample pack before. There’s so much that’s original on this EP that the moments that are not tend to stand out. But overall, the album leaves us wanting more. We suggest a trip to the Rann of Kutch. Desolation seems to suit SickFlip well. We’d also like to see more collaborations. SickFlip seems to possess an ear for melding of international and desi, electronic and organic that bass fans Nucleya and Su Real share. We’re thinking it’s supergroup time.